Marketing Remarks: Prime downtown corner real estate in the heart of the Central Coast wine country. Located within the Paso Robles Opportunity Zone. 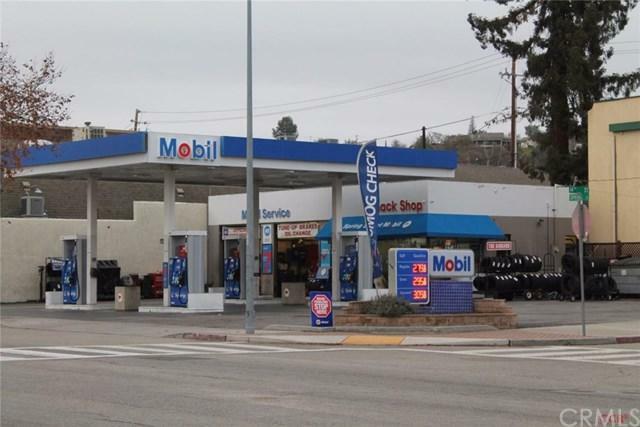 An iconic, business opportunity with old-fashioned customer service is also included at this busy, last of the full service major oil company and service stations in town, plus snack shop. 100' of Spring St frontage & 80' on 14th. Owner is retiring after operating this local favorite, a highly successful, profit generating business since 1986. Over 500,000 gallons per year plus nearly 5,000 smog checks. Talented ASE Techs in two bays also service brakes, cooling systems, tune ups, oil changes, tires, A/C, timing belts, power steering and transmissions. New fuel pumps, canopy, lifts and compressor in 2016. Includes inventory, furniture, fixtures, equipment, improvements and some tools (all subject to bulk sale) except those belonging to distributor. Phase I & II ESA and current business financials available to qualified buyers. Buyer to satisfy themselves as to applicability of potential Opportunity Zone benefits. Transfer of fuel contract subject to approval by distributor. Please: Do Not Disturb! Shown by appointment only. Exclusions Miscellaneous Personal Tools And Memorabilia Of Owner.